I finally got all of my old sorority t-shirts out of storage recently. A sorority girl accumulates quite the collection in just 4 years of college (seriously, I have atleast 60). Instead of just letting them collect dust in my closet, or sweating in them at the gym, I decided to have some of my favorites made into a t-shirt quilt. 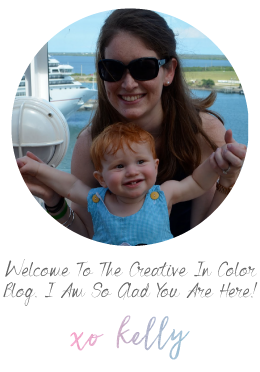 Due to my non-existant quilting or sewing skills, this could never be a "pinterest project of the week (or month)." So I turned to etsy and someone who has real sewing skills. 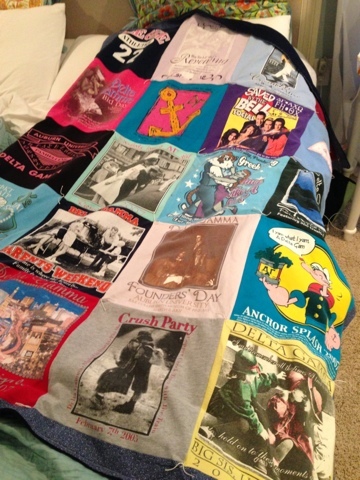 I found a girl who could turn 20 t-shirts into a cozy quilt for a great price. I washed up my shirts and sent them off to her...and just a couple of weeks later my quilt arrived on my doorstep. It is awesome. The backing is fleece which makes it super soft and comfy. And it makes me smile every time I look at it and remember the different events and sweet memories represented: bid day, Andrew and my's first formal, anchor splash, big sis revealing, founders day and on and on.